Being born in the United States is a privilege not many people get. Fortunately, me and my 7 siblings are some of those few. My parents immigrated to the U.S from the country of Mali in the 1993 envisioning the American Dream; but they’ve struggled to establish themselves in this country. Moving here wasn’t easy for them, in fact, it was probably the hardest decision they ever had to make. Due to financial restrictions, the decision to move to the United States required them to leave their first child behind. At the time, my older brother was only 4 years old. With no viable alternatives, my parents left my brother in the care of my grandmother and haven’t been in physical contact with their son since. I can’t imagine being put in my brother’s position, nor my parents. Growing up without parents, especially through childhood & adolescence, is tough sometimes for me to wrap my head around. Since moving to the United States, my family has experienced a lot together and through it all I have learned a lot. Having parents who managed to support me and my siblings no matter how tight money was has taught me dedication. Learning to separate the necessity of things like food and clothing from discretionary things like a new phone or the latest game system has taught me discipline, and seeing my parents scrape by each month just to provide for their kids has taught me the true meaning of hard work. My mom and dad have always taught me never to shy away from work. For example, there have been plenty of days the carpet needed to be cleaned or the dishes needed to be washed and when asked I was sometimes reluctant to help out. Once, when I complained about helping, mom plainly told me that there are plenty of days she would rather stay in bed, but that she gets up to cook, clean, or go to work because that is what is needed of her to provide for the family. That is the type of person I am expected to be. No matter how I am feeling, or what I think stands in my way, there is a job that needs to be done and people who are counting on me to do it. My willingness to work hard has not gone unnoticed. In 7th grade at Mastery Charter, my English teacher Mr. Wise asked me to join the wrestling team. He knew that I would work hard to keep at it. I was a little apprehensive at first but I tried it and I loved it. I was committed to the sport and attended every practice, and every match. By the end of the season, I won second place at the end of season tournament. After seeing how hard I worked in wrestling, Mr. Wise asked me to help him build a garden at his home and even offered to pay me for my work. He told me he knew I was a hard worker and that I wouldn’t quit until the job was done well. I remember spending an entire weekend building that garden and whenever I thought about things I would rather be doing I recalled the conversation with my mom, and I pressed on. When I was finally finished, Mr. Wise was so impressed, he paid me $100 (more than we had initially agreed on). Here, I learned another lesson; hard work pays off. In 8th grade, I stayed involved with wrestling and really enjoyed working to get better; but my biggest success was in the classroom. I have always been driven to succeed in school and my 8th grade year was no different. Last year, I graduated with a 4.0 GPA and gained admission to Central High School; the 13th best public high school school in Pennsylvania! Now, I am a month into the school year and I can’t wait for wrestling to begin. My goals for the season are to win the Public League Championships, place in the District 12 tournament, and place at the Northeast Regional tournament. I have a long way to go and a lot to learn. But the lessons my parents taught, reinforced through wrestling, have made confident I have what it takes to build the life my parents dreamed about. Aboubakare ’s story is an incredible one; but he’s not alone. 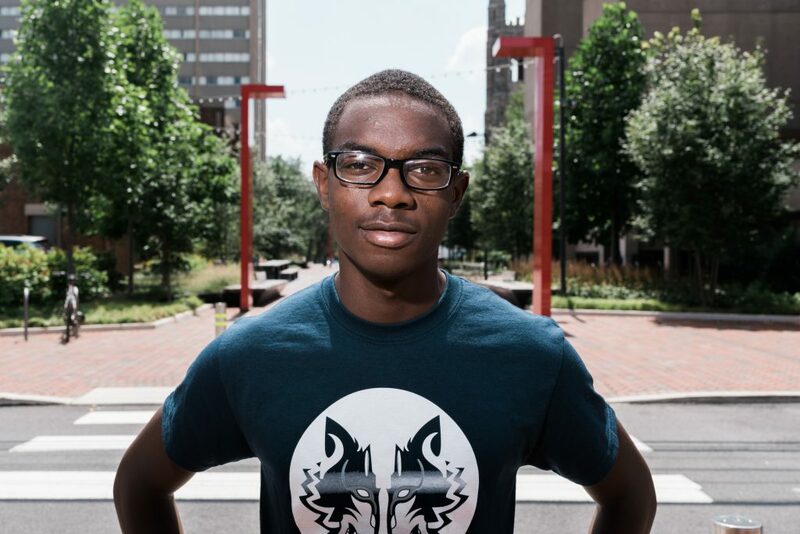 With over 1,200 wrestlers actively in wrestling programs throughout Beat the Streets Philadelphia, there are countless kids who like Aboubakare , have the drive and just need the opportunity to be great. With the support of our incredibly generous donors, we have been able to ‘Alter Life’s Trajectory’ for thousands of boys and girls; but we can do more with your help. Whether it’s choosing to give through our donate now page or as a coach and/or mentor by contacting us at btsphilly@btsphilly.org, the bottom line we can always use your help!